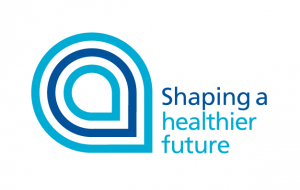 Shaping a Healthier Future is one of the biggest reconfiguration programmes in England covering eight London CCGs and boroughs. The NHS in North West London has spent over 12 months on a massive programme of analysis and consultation about the future of acute services and improvements in out of hospital care. Much of the focus has rightly gone on the proposed changes to the area’s acute hospitals. The conclusions are to change acute services at Ealing, Charing Cross, Central Middlesex and the Hammersmith Hospitals. However, a major component of the programme is to transform out of hospital care with a large investment in new primary care facilities and a parallel focus on how out of hospital services must work in a different way. The main aims are to keep people out of the hospital setting for longer, to prevent avoidable emergency admissions, reduce the rising use of A & E and helping better manage people with Long Term Conditions such as Asthma, Diabetes and COPD. West London Health Partnership can play a key role in implementing the Out of Hospital plans in at least three ways: some of our existing buildings have been identified to play a key role in new service arrangements. These include Heart of Hounslow, Jubilee Gardens, Grand Union Village and the new White City Collaborative Care Centre due to open in 2014. Secondly, we are already working at an early stage with Hounslow CCG and Ealing CCG to develop plans for new primary care centres at Heston and Acton respectively. We understand that there may be further new projects in these CCGs and also in our other NHS partner, Hammersmith & Fulham CCG. Finally, and perhaps most importantly, West London Health Partnership is working with our CCG partners to help improve how their existing facilities are used and how they can maximise their utilisation. We have recently completed two interesting projects to review utilisation at Heart of Hounslow, Grand Union Village and Jubilee Gardens and are working with the CCGs to add clinical additional services into these buildings and use the buildings more intensively. Shaping a Healthier Future is a major programme of work to transform the NHS in North West London and West London Health Partnership is playing a key role to deliver major improvements in out of hospital services and help the local NHS get best value from their primary care and community health care facilities.